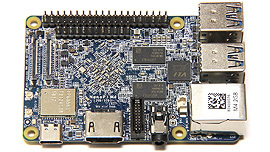 Single board computers (SBCs), such as the Raspberry Pi, are small computing devices that can be used for a variety of purposes that include experimentation, learning how to program, building a media player or NAS drive, robotics and home automation, and performing computing tasks such as web browsing or word processing. SBCs are also increasingly used for a wide range of industrial applications in areas that include robotics and the Internet of things (IoT). Many SBCs are now available, with lots of their specifications and applications having been covered on the ExplainingComputers YouTube channel. Listed below are just some of the SBCs available today. Enjoy! 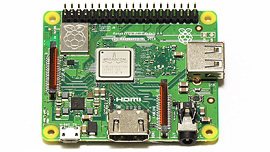 The Raspberry Pi 3 Model B+ from the Raspberry Pi Foundation is the latest incarnation of the world's most popular and most highly supported single board computer. If you want to get into the world of SBCs, the Raspberry Pi 3 B+ is a great place to start. You can watch my review of the Raspberry Pi 3 Model B+ here. 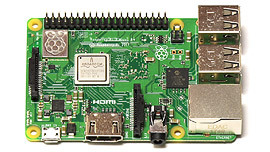 The Raspberry Pi 3 Model A+ from the Raspberry Pi Foundation is a cut-down version of the Raspberry Pi 3 B+, with a thinner and smaller form factor, 512MB rather than 1GB of RAM, fewer USB ports, and no Ethernet socket. A great board for IoT projects. You can watch my review of the Raspberry Zero W here. 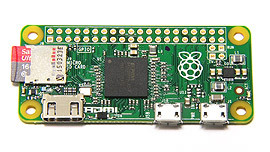 The Raspberry Pi Zero W from the Raspberry Pi Foundation is the latest version of the Pi Zero, with the "W" part indicating that it has onboard WiFi and Bluetooth. Hurrah! The Rock Pi 4B from the RADXA is an RK3399-based SBC with two USB 3.0 ports and an M.2 slot for an NVMe SSD up to 2TB capacity. 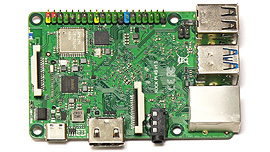 The Rock Pi 4B is available with 1GB, 2GB or 4GB of RAM, and has a Raspberry Pi form-factor. You can watch my review of the Rock Pi 4B here. You can watch my review of the LattePanda here. 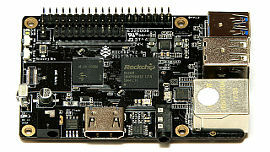 The Tinker Board from Asus is a more expensive and more powerful SBC than a Raspberry Pi 3, if based on the same form-factor. It does, however, currently enjoy far less software and wider support than the Raspberry Pi. You can watch my review of the Tinker Board here. 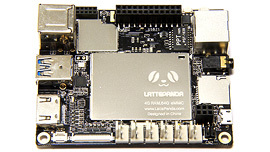 The LattePanda Alpha is a high-end, x86 based single board computer from DFRobot that comes with 8GB of RAM and two M.2 slots, one of which can take an NVMe or SATA SSD. There's also an integrated Arduino microcontroller. You can watch my review of the LattePanda Alpha here. The NanoPi M4 from Friendy Elec is an SBC with the same form factor as a Raspberry Pi 3, but with a hexa core processor and four USB 3.0 ports. You can watch my review of the NanoPi M4 here. The NanoPi NEO4 from Friendy Elec is tiny SBC with a powerful RK3399 (hexa core) SoC. 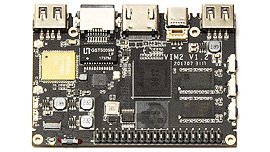 The VIM2 from Khadas is a range of 64-bit, octa core SBCs that come with Android pre-installed on eMMC flash storage, and which have the ability to dual boot. You can watch my review of the VIM2 here. 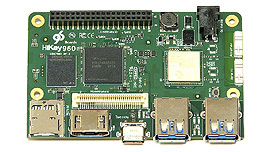 The ROCKPro64 is one of a range of single board computers from Pine64. The board has a hexa core CPU, comes with 2GB or 4GB of RAM, has a USB 3.0 port and a USB-C port, an eMMC socket, three camera connectors, and supports 4K output. And in addition, the ROCKPro64 has an open-ended PCIe x4 slot that can accomodate peripherals including a two port SATA adapter, and an M.2 NMVe drive adapter. You can watch my review of the ROCK64 here. 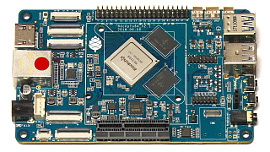 The UDOO x86 Advanced Plus is one of a range of four x86 64 bit single board computers from UDOO. 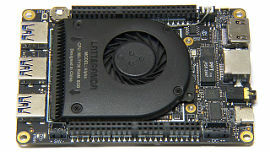 The boards can run Linux distros and Windows 10, which can be installed on an SSD or HDD connected via their SATA port, on an M.2 SATA drive, on onboard eMMC flash, or on a micro SD card. You can watch my review of the UDOO x86 Advanced Plus here. 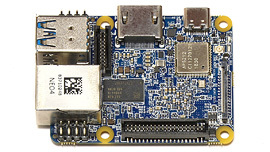 The ODROID-XU4 is one of a range of single board computers from Hardkernel. 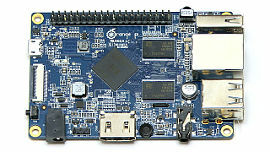 The board has eight processor cores, 2GB of RAM, and can boot from either a micro SD card or an eMMC module. You can watch my review of the ODROID-XU4 here. 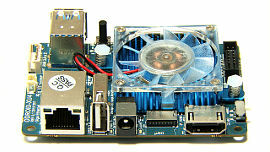 The ROCK64 is one of a range of single board computers from Pine64. The board has a quad core, 64 bit CPU, comes with 1GB, 2GB or 4GB of RAM, has a USB 3.0 port, eMMC socket, supports 4K output, but sadly has no onboard WiFi or Bluetooth. 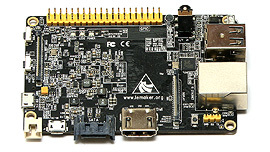 The Banana Pro from LeMaker is a SBC that benefits from having a SATA port, so allowing the high-speed connection of SSDs and HDDs. You can watch my review of the Banana Pro here. The LeMaker Guitar from the LeMaker is a two-part SBC that allows a range of update and application possibilities . You can watch my review of the LeMaker Guitar here. The Orange Pi PC is one of a wide range of low-cost Raspberry Pi clones from the Shenzhen Xunlong Software Co. While the hardware offers great value, it does suffer from limited software and community support. You can watch my review of the Orange Pi PC here. 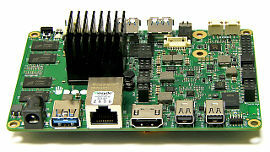 The HiKey 960 from LeMaker is an octa core SBC with 3GB or RAM and an PCIe M.2 socket. The board is intended for Android development work and other high-end applications. You can watch my review of the HiKey 960 here. This page last updated 23 March 2019. Please also visit our sister site at ExplainingTheFuture.com.